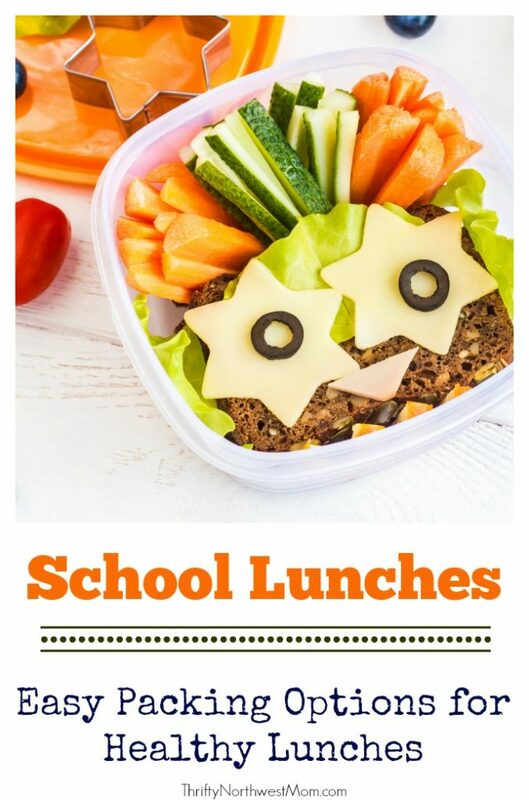 Lunch Box Cubes – Easy To Pack School Lunches + Fun Lunch Box Ideas! 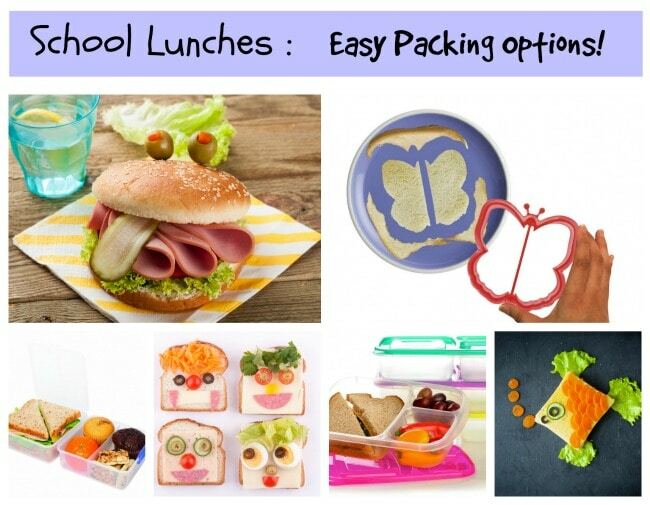 Are you looking for some inspiration for your kids school lunches? This is one of the questions I get asked about most when I am at school with my kids. I have found that some of these new lunch containers help inspire me a bit with packing lunches. I just find it easier when I can visually see what I have the for kids, plus I love not having to have sandwich baggies, etc. on hand all the time. 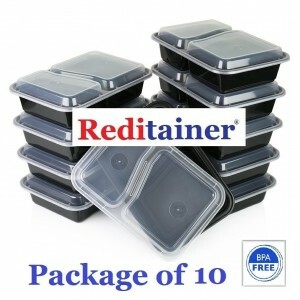 I use these reusable containers and the kids come home from school and put them in the dishwasher so they are ready for the next day (I actually buy an extra one for each kid, in case it does not get washed that night). A couple of years back I discovered these Klip – It Lunch Cubes by Sisterma, and just love them. For some reason it has made it so much easier for me to pack healthier lunches for the kids. I know that the shape of a lunch box should not determine what goes in it, but for some reason having the separate compartments to pack food in encourages me to include fewer prepackaged foods! We love ours! I also find it to be a nice money saver, as I can skip the sandwich bags by packing everything in one of the compartments. I found that with the cost of packaging lunch food, we quickly paid for the cost of container by not having to purchase nearly as many sandwich and snack baggies! Not only does it help me pack healthier food options for my kids, but I was inspired by the Bento Lunch ideas to pack them in a fun way, that makes it more likely that they will eat it! 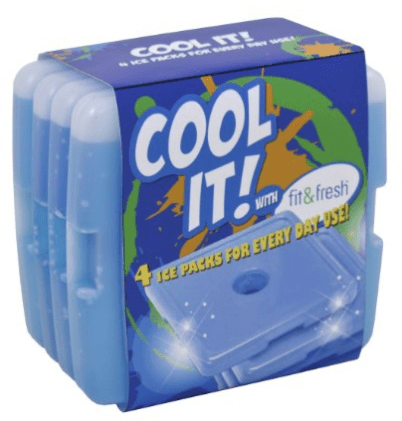 In fact, my family has enjoyed using this so much more then the sandwich bags we were using, that we went ahead and grabbed one for my husband too, and just put it in his cooler daily, packed with good food! These Bento boxes say they are leak proof too! A more affordable option might be these lunchboxes (these are reusable, not like the disposable ones you buy in the grocery store). There is also this Salad To Go container, if you like to eat Salads for packed lunches regularly (comes with dressing container, utensils, etc). It may cost a little more up front to buy a few of these pieces, but for my family it has saved us over time. I can reuse from year to year, and don’t have to buy all of the one time use baggies and wraps, etc. Note, none of these are spill proof so it does require a little training to get your kids to carry them upright to school rather then tossing them in the backpack. I find putting them with a cooler pack in a lunch sack helps alot with this. 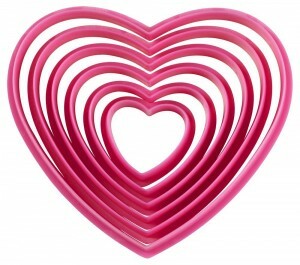 Plus you can grab this pack of 12 silicone cupcake holders to put inside and divide up the foods you pack! 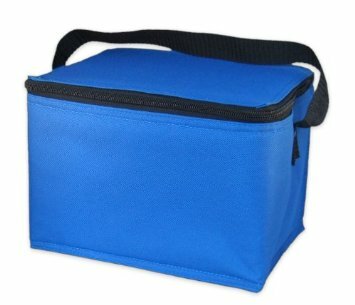 Here is a cooler you could carry an ice pack and lunch box in. 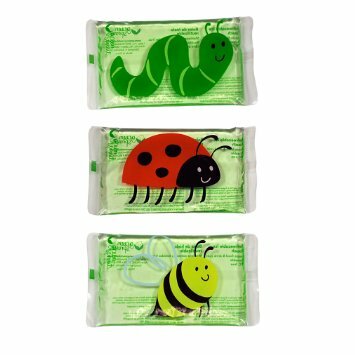 Plus check out these cute bug lunch chiller packs. I bought this set a few years back and its still going. One did have some leakage this last year, so we had to toss it, but we are two years into using them for two kids, so I thought that was great. The nice thing about this size is that they fit into the actual lunchbox, if you don’t get the cooler to pack it in too. Nesting Cookie Cutters I love the nesting sets and you can use the multiple sizes for so many things – cutting cheese or sandwiches or fruit, etc). 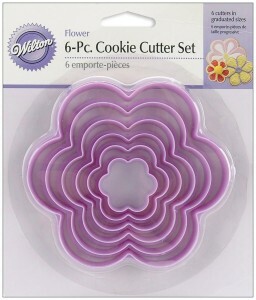 Or this flower shape (this is a great shape to have)! 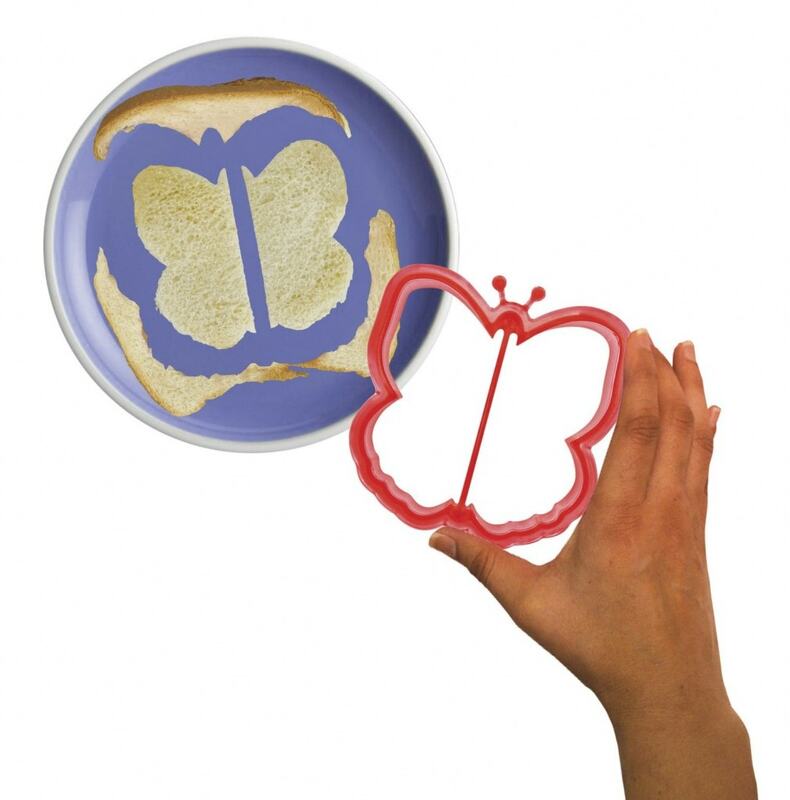 I found some large cookie cutters at the dollar store and Walmart and use those to cut shapes into sandwiches for my kids. They LOVE it! 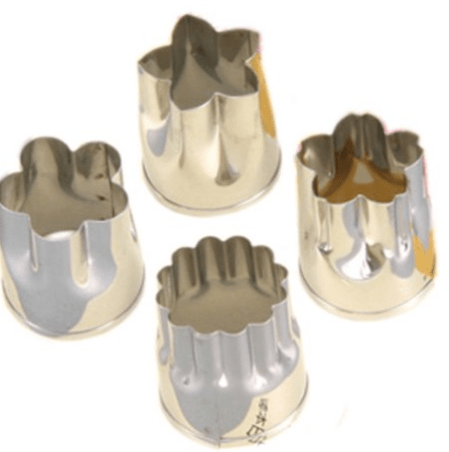 You can also buy a specialty sandwich cutter on Amazon. 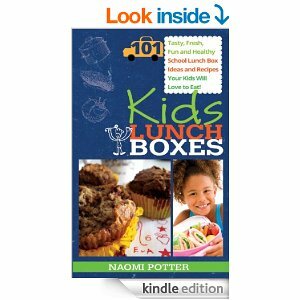 You can also grab this book for inspiration: Kids Lunch Boxes: 101 Tasty, Fresh, Fun and Healthy School Lunch Box Ideas and Recipes Your Kids Will Love To Eat! What are your favorite ideas for packing school lunches? 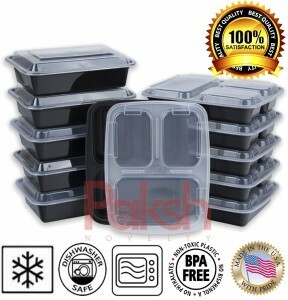 Where do you get the bento boxes for 13.49 plus shipping? 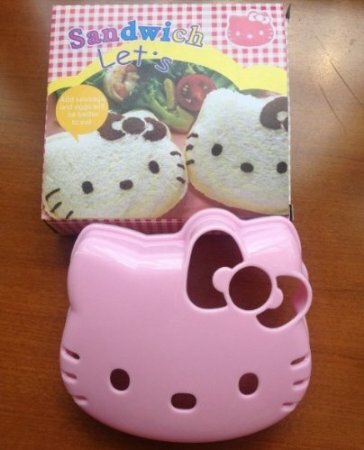 I got a bento box for my daughter and husband on potterybarnkids.com they were on sale for $13 plus free shipping. I used a 15% off coupon to make it even less. 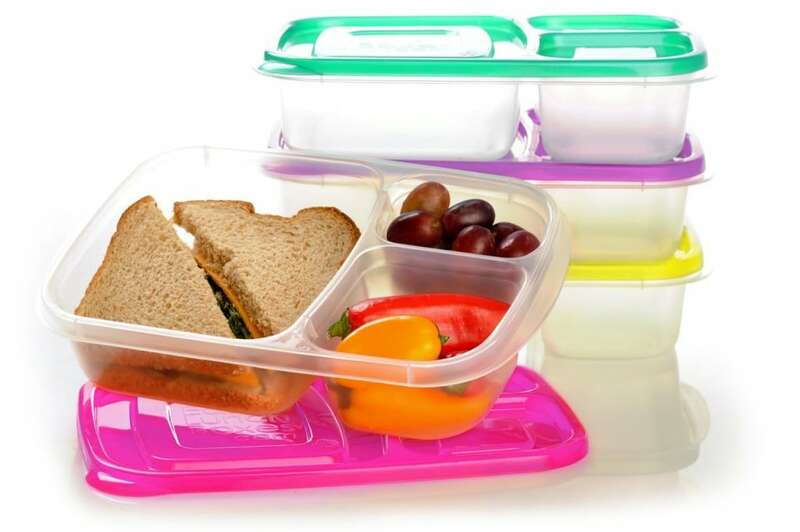 They are BPA free, have multiple compartments and come in cute colors. We’ve been very happy with them. That price and free shipping I think may still be going on.